So much to learn . . . all about getting the benefits . . . now. Invite us to do a seminar for your real estate office or association. This is a seminar to put your thinking cap on! Over three billion people are now using the Internet. See how ICIWorld is helping all brokers and salespople . . . testimonials. This seminar will make you think about how to use the Internet wisely. It will help you unlock the powers of the internet. Suitable, compatible and beneficial for all real estate groups large and small absolutely every real estate office in the world that has the INTERNET. Designed for commercial and residential real estate professionals. order it on CD or DVD. Just one idea, one tool, learned in one Internet educational session can help you do more deals the rest of your life. And . . . there are many ideas and tools. Presented by a real estate broker in real estate since 1972 and CCIM who has been studying the Internet since 1990, first on the Internet in 1994, learning what works and what does not work and designing tools for 1,000's of real estate salespeople. This seminar is tailored for your office whether it is commercial, residential or both. Who should attend and/or see this seminar? Every licensed commercial and residential real estate broker and salesperson in the USA, Canada and the world who wants to take advantage of the Internet to connect with others to do business. If you want to see the ultimate in marketing on the Internet for residential and/or commercial real estate you should take in one of these sessions. ICIWorld was the first real estate information service on the Internet in 1994. This dedication can benefit you from what we learned through the trials and tribulations of growing an Internet real estate information service of value that is now helping real estate salespeople generate business in their various value added services to their prospects and clients. Various services supplied and distributed and designed by ICIWorld. These concepts are shared with you in live seminars, webinars and a movie. They have been developed and refined with the suggestions, guidance and feedback of hundreds of real estate professionals over the years. We wish to thank all the real estate pioneers of the Internet who were interested in discovering and developing ways to help make the Internet and ICIWorld serve the real estate industry well on their behalf. This is your service. Learn from someone who has helped thousands make money using the Internet. See successful transactions, people who served their clients and prospects well and made money. Read over 50 pages of testimonials from real estate brokers and salespeople in over 400 companies and see that it is about networking. Many people are simply missing doing business and do not realize it. These seminars and webinars will show you the difference. It literally can benefit every single real estate broker and salespeople in the World. Keep in mind there are over 1.9 billion people using the Internet. Everything we teach is compatible with other services that salespeople use every day to do business. In fact it can enhance your other services as well. It is all about unique tools, concepts, ideas, and awareness, information tools and how to apply them . . . effectively. Seminar for your real estate office, big or small, association, franchise, chapter, company, group, etc. Call us to do a seminar educating real estate sales people on how to use the Internet. All you need to do is set a date, time and place such as where you normally have your regular weekly or monthly meetings and then announce the meeting. All salespeople in the real estate industry world wide can benefit from this seminar. READ THE TESTIMONIAL COMMENTS further on down this page of salespeople who have attended past seminars. We bring a data display projector, screen and laptop computer and go live on the Internet! Free in consideration of us doing an 8 minute commercial on our services. Handouts. Movie for all licensed real estate brokers and salespeople world wide. Comments of sales people who attended a real estate board technology trade show seminar conducted by ICIWorld. Now available as an on line movie windows media streaming video, by CD, by DVD. General Comments: Informative, yes, good, great information, very informative, lots of information provided with web sites that are interesting, eye opener, lots of info, Gary Nusca, CCIM was very knowledgeable and easy to listen to, I enjoyed the course, I learned a lot, excellent, very informative, new understanding the market. Knowledge of Subject Matter: very good, excellent, good, great, the instructor is very knowledgeable and explains it well, excellent, well prepared, great information, new material, Internet is growing so should we, excellent, very knowledgeable, has very good knowledge of the subject. Relevance to Business: relevant, yes, yes, very, Internet is increasingly important to real estate, very, very relevant, security re passwords was valuable, must have ICI to help increase business, website knowledge, very, yes. Testimonial: great, great ideas, interesting content. Do you feel this should qualify for RECO Education credits: Yes (5 years in real estate), yes (23 years in real estate), yes (30 years in real estate), (32 years in real estate), yes (24 years in real estate), yes (20 years in real estate), yes (35 years in real estate), yes (1 year in real estate), yes, yes (24 years in real estate), yes (10 years in real estate). ICIWorld Internet Movie You can see it live on the Internet now. You will need Windows Media Player, high speed Internet access to stream it live now on the Internet. This is a taped version made into a movie of a seminar conducted for a real estate association technology conference where 120 real estate sales people attended. Attendees provided positive comments and they received RECO Education Credits. You can see the movie on your computer but we suggest that you see it on your TV! One way is to hookup your laptop to your LCD TV with a 15 foot video cable. In the future this movie may be restricted or have a change of location in the future due to band width. Available to order a DVD so you can play it on your computer or TV DVD player. DVD Video Format for Television DVD Players and windows computer DVD players. Call 416-214-4875. $30 including packaging and snail mail. Provide your business card information and order. After seeing this movie and printing out the Handouts contact us for a special to join ICIWorld. Webinar On Line on the Internet for all licensed real estate brokers and salespeople world wide. Set a Date and Time and we conduct the presentation on the Internet while everyone can be at their home office or anywhere including listening to it on their iPad. By "live Webinar" Understanding and How to Use the Powers of the Internet. Free from the comfort of your own home or business office. 2 hours - 120 minutes! Certain dates and times during the month. It is free. This is on your computer. Open to all salespeople in the world! You will learn about the Internet . . . free in consideration of us demonstrating some of our services. Handouts It is all about Understanding and How To Use the Powers of the Internet. Maximum 1,000 attendees. No obligation to join and we will show you how some people are making money using the Internet while others who are on the Internet are not. This Webinar will cover the same content as we have presented in person at a live real estate board trade show. See comments from real estate people who attended the Real Estate Technology Trade Show. What areas of improvement if any would you suggest? prefer online training and seminar rather than having to go out of town for the course Gary mentioned. Every single member should be able to jump into one of these webinars. You must learn how to get into a webinar. Upcoming webinars will include special topics and guest speakers. This is a way to also get help and assistance between 11am and 2pm daily. This is a like a classroom environment where you can hear questions from others and answers for everyone, all from the comfort of your own home or business office. Register. They are free for all members. Pick a time you think you can attend but there is no obligation to attend if something comes up at the last minute for you. Some are confidential and proprietary for members only. Others are available free. They provide a competitive advantage in the marketplace. They provide a cutting edge look at technology and how to apply it in the real estate business. Daily webinars are one way that we help every single member succeed using ICIWorld and the Internet for both commercial and residential real estate brokers and salespeople. Take part and learn the many hidden tools, concepts, ideas that are making members of ICIWorld money and at the very least helping them make connections they feel will lead to making money. See Our Pledge. Includes Daily Webinar Workshops. The first sixty minutes is a presentation overview of services and support followed by training and assistance for both our major commercial and residential services. This first hour is now made into an education training video. Includes, placing listings, Web Site Design Workshops, along with questions and answers on virtually any and everything related to using ICIWorld and its multitude of commercial and residential services. Monthly Information Tuneup - Don't leave anything to chance with your information. You could be easily missing doing deals and not realize it. This is a checklist to review once per month. Monthly How To Promote Your Web Site including Search Engine Optimization (SEO). EXCLUSIVE FOR EXECUTIVE MEMBERS ONLY. You can have the best web site in the world with thousands of residential and commercial listings all in a way that YOU get the calls but what good is it if you do not have traffic going to your web site? There are actually forty different ways to promote your web site. It is not just about search engine optimization although that must be set up properly and there are ways to appear in google within 48 hours. Future Webinar plans include having guest speakers speaking on a variety of topics coming for the fall and winter months. Everyone does business or you call us. All members must learn how to get into webinars quickly with no problems, have a USB headset and earphones or learn how to phone in while viewing the presentation on your screen. Seminar for your office live. Seminar C21 Green Commercial Group - More commercial real estate orientated. We appreciate all the efforts of people over the years who have had the patience and care to work with us to develop these services making you and us pioneers on the Internet and its use for real estate applications. One of the true value added services that all licensed real estate professionals offer the public is their "information handling abilities." Learn from someone who has helped thousands make money using the Internet. Read 50 pages of testimonials from real estate brokers and salespeople in over 400 companies. 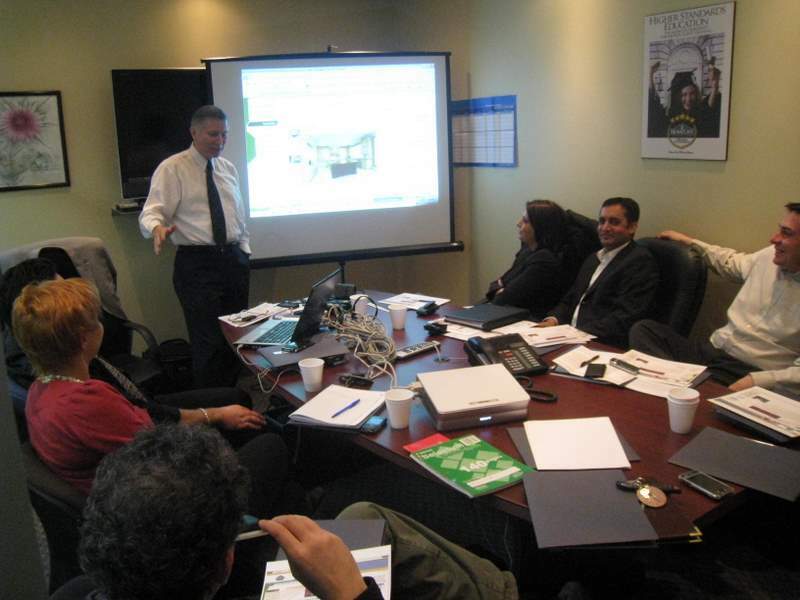 We provide educational seminars for the real estate industry to enhance your skills using the Internet, technology, software, computer, and to network and gather information. It all helps you to effectively connect with others to do business. Learn from someone who has been in the trenches for the last fifteen years . . . someone who is helping thousands and is dedicated to helping professionals in the real estate industry become more effective and efficient. Designed to fit your group, 120 minutes for residential and/or commercial real estate brokers and salespeople. Longer, 3 hrs. to full day session to fit your real estate association requirements, education credits, etc. Short sessions for investment groups of buyers and sellers and upon request. For all who are interested in real estate, everywhere in the world. For all companies and offices, in the past when we have 100-1000 salespeople in a company we have limited it to an audience size of 20 for educational teaching purposes and then simply book other seminars every two weeks to a month until all have benefited. However with the advent of technology we can provide a Webinar for up to 1,000 at a time. Details. Just need a date and time. We send you the invitation and you send the invitation to all your sales team. Consider us as a personal marketing, information and technology assistant to you and all your sales team helping everyone in your office to succeed using technology and know how. Once you have booked a live seminar in your office click here to print out announcement, post on your bulletin board, and/or send the page or link to the page by EMail to your sales team, hand out to your sales staff, etc. Just need a date and time for your office or organization and you will have one of your most beneficial seminars of the year! It results in your sales people doing business! Call anytime to chat about a seminar for your office. What areas of improvement if any would you suggest? residential, web site promotion, emailings, just signed up will evaluate later, more time should be spent on demos of an existing web site. Knowledge of Subject Matter: yes, very good, excellent, very strong, very knowledgeable, 1.6 billion people and other country sales, wow. My knowledge of information technologies is very high. Relevance to Business: yes, fantastic, absolutely, good, very relevant, I can get listings on my website even if I am just starting out. Bang on! The internet presents good opportunities for lead generation but I believe very poor for advertising. What areas of improvement if any would you suggest? none for now, length of time, nothing, the large emerging popularity of social networks ie: facebook, myspace, etc. If no would you share the reason? I don't believe that it should if there is profits to be had. What areas of improvement if any would you suggest? Written testimonials by hand of those who have made money through it. Knowledge of Subject Matter: exceptional, excellent, very knowledgeable and interesting. General Comments: Great presentation, very good info, this is one of the best courses that I have taken, very informative, helpful, good presentation, useful info, thoroughly enjoyed Gary. Knowledge of Subject Matter: Knowledge of Subject Matter: excellent, extensive, very knowledgeable, very good, great. Relevance to Business: 100% very relevant, for sure, extreme, amazing, lots, I am just starting out and will incorporate these tools in my marketing plan. What areas of improvement if any would you suggest? too much, too little time, session should be longer. Testimonials: well worth attending, thank you for imparting the knowledge. What areas of improvement if any would you suggest? More time for questions. more demonstration of actual web sites. Testimonials: As a former teacher (32 yrs) very well presented. Relevance to Business: yes, very relevant, it can help get more leads, very pertinent, very high, very good but I already told him after the economy picks up only, meaning one to two years. Testimonials: I would recommend this to anybody who wants to make more money, listening to Gary's presentation helped me to think of new ways of improving my own approach to real estate sales. I need more time to get into it. What areas of improvement if any would you suggest? none, less introductory, more meat, I don't need to know about EMail fraud. I'm already aware of Nigerian Princess. Testimonials: have followed this web site for years was good to have it explained to us to my benefits, excellent product at a very attractive price, well explained how the system works. Testimonials: A lot of good information, eye opener! Tops, masterful–owns it! Excellent, good, very good. Important, very, very relevant, can be, good, excellent, everything–you opened my eyes bigger than they have been, we'll see: maybe the way for me to leverage my skills and experience. Eye opening, most interesting and informative, looks like a great service, you were able to get me very interested in adding your service to our "tool box." Excellent, good, I thought the instructor had a firm grip on the topic, excellent. 110%, very good, total, 100%, very. It is all about people and communication, generating more leads for your office. Sample Promo to be designed to fit the presentation in your area. Screen live on the Internet." Makes for a great demonstration. Vince Lombardi won the Super Bowl three times. We have all heard of the Internet, web sites, email, but it is understanding and how you work these programs effectively that make the difference between efficiency and doing business and making money and serving the public successfully or making zero. Anyone interested in reaching the real estate industry. Arrange seminar for your company's Monday morning meetings, convention, conference, Real Estate Board, ICI Council Group, chapter or international real estate shows. This seminar will create awareness of opportunities in your marketplace and discuss how you can harness the power of the communications to reach an industry and make it work for you. In real estate, information is power: one piece of information can make you a lot of money. Contact us anytime to discuss a seminar for your group or organization. ICIWorld seminars are not limited to commercial real estate. There are benefits for residential real estate brokers and salespeople. See important links to be placed on your web site. Everyone will learn how to maximize marketing efforts of properties and listings and learn how to work commercial real estate information. Learn how to unlock the power of the Internet! Many are missing opportunities and do not even realize it. Learn how to recognize important information and work it to benefit all involved. One type of session is 120 minutes long, consisting of a Power Point presentation and a "live on the Internet session" . . . all at the same time. Points in Power Point are demonstrated "live" on the Internet. An ICIWorld Workshop/Seminar for your group should have a minimum of 5 in attendance. Numbers less than that can be done one on one in your office over the phone. All members receive the full benefits with a membership. Join ICIWorld now. Contact us to book your training session. We recommend all members have an update session each year since there is something new every few months. Seminars can be conducted any where in the world with suitable arrangements. From Florida to California, from Vancouver to Toronto, and all points in between are locations we cover each year. Every ICI Group should have a minimum of one workshop/seminar every two years. Training is the key to learning the power of the Internet, Information Technology, and Computers and Software. It will benefit you, your clients, and your prospects. Stay on the cutting edge! A 3 hour seminar consists of a PowerPoint presentation, a short break, and a live demonstration on the Internet. We have had the privilege of speaking at various CCIM and ICI Groups hosted at various real estate boards: Metropolitan Hamilton Real Estate Board, Toronto Real Estate Board, London Real Estate Board, Canadian Real Estate Association, Oshawa Real Estate Board, Okanagan-Mainline Real Estate Board, Vancouver Real Estate Board, Arizona CCIM Chapter. We appreciate the opportunity to be of service to speak at your next event. "I took the Internet Marketing Course with Gary this past Wednesday in Collingwood, it was very informative. I found quite a few very interesting things that I will use and it has also spurred me to continue venturing into the whole social media aspect of the web. I’m also going to look at my website and keep improving that too. Thank you again for all the great info!"